You want to grow a plant of coffee grains in your own home, or in your garden? Here is the plan that’s right for you and how to make it grow. Coffea Arabica is definitely what we suggest that if you want a plant from ornament which at the same time we produce coffee grains. This is an unusual houseplant, is beautiful, is well suited to the home and does not need much care. If you intend to grow coffee in the House you don’t have to have productive goals. A few home-grown coffee trees can brighten up the environment, make it more attractive but they will certainly give you a good harvest. This coffee plant originated in Ethiopia. in its habitat is a woodland shrub that occurs with elongated dark leaves and shiny. The flowers, white and star shaped, in Italy they bloom in the month of March. After six years of age can appear even fruits, inside which are the seeds, dry roasted, are used to prepare excellent coffee. The habitat in which it would be subjected in Italy is very different from that of Ethiopia. Here are some tips to help grow this plant from coffee grains. The cultivation in pot is certainly one that creates less problems, the plant in fact never reaches its natural height but will block much earlier. In fact, despite being formed from a shrub that can reach up to 7-8 meters, in pot stops about 1-2 meters. Then the Coffea Arabica is to be cultivated in pot in order to be kept comfortably in your home or garden. 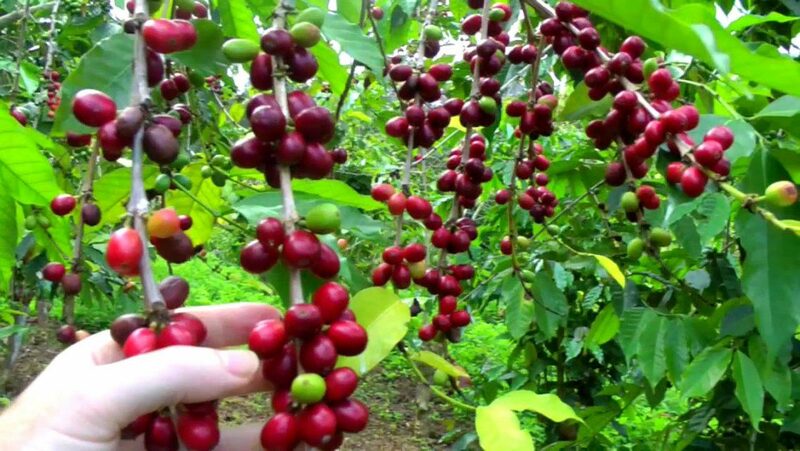 Let us look at some methods to grow this plant of coffee at best. During the summer must be irrigated daily and kept in a place not exposed to heat during the winter in a bright location and temperature no lower than 18° c. Being a shrub, to keep it tidy must proceed with timely pruning, serving both to maintain a neat appearance is to increase the chances of flowering. As regards the land has special needs, then you can use a universal soil, especially if little limestone. The coffee pot should be fed once a month during the first two years, here we must continue with the fertilizations. Repotting should be performed annually, giving the plant a container from a larger diameter of about 2 cm. Now buy you your coffee grains plant!